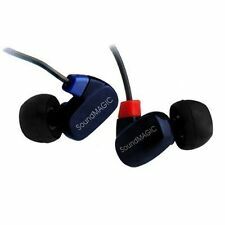 SoundMAGIC E50 In Ear Isolating Earbuds Earphones - Blue. Inside the sheath of the cord a twisted cable ensures strength and a tangle-free listening experience. Ergonomically designed sound tubes sit perfectly in the ear canal and stay in the ear comfortably. 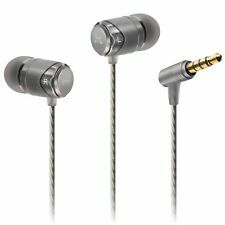 SoundMAGIC have created the E11C isolating earphones evolved from the original sound of award-winning E10 earphones. Full aluminium construction, updated drivers and a high-resolution silver-plated audio cable make for a robust build and enhanced audio performance. The in-ear design combined with the right eartip makes sure the sound is not lost or diluted. Sitting comfortably in the earcanal, the SoundMAGIC E10-Gun ensures hours of fatigue-free listening fun. 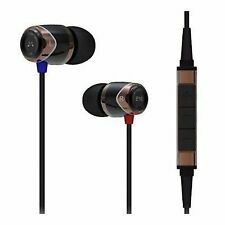 SoundMAGIC E50 In Ear Isolating Earbuds Earphones - Gold. Inside the sheath of the cord a twisted cable ensures strength and a tangle-free listening experience. Ergonomically designed sound tubes sit perfectly in the ear canal and stay in the ear comfortably. 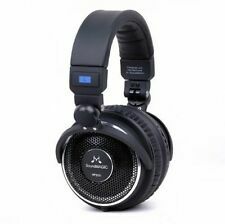 SoundMAGIC P30S Black Portable Headphones with Microphone For All Smartphones. The folding headband allows you to stow the P30S quickly and easily in the supplied travel case to keep your headphones safe when not in use. 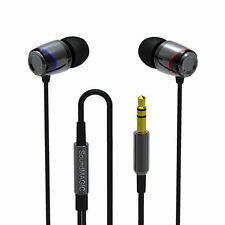 The SoundMAGIC have created the E11 isolating earphones evolved from the original sound of award-winning E10 earphones. Full aluminium construction, updated drivers and a high-resolution silver-plated audio cable make for a robust build and enhanced audio performance. Inside the sheath of the cord a twisted cable ensures strength and a tangle-free listening experience. 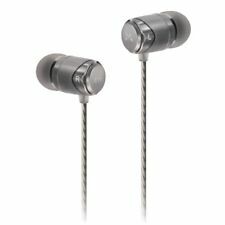 SoundMAGIC E10M Earphones in Black & Silver. The in-ear design combined with the right eartip makes sure the sound is not lost or diluted. Refined Sound: Reworked 10mm dynamic drivers give the SoundMAGIC E11BT a fresh, accurate, and mature sound. Expect a balanced profile, with fine detail underscored by comfortable, warm bass. Engineered Housing: High grade machined aluminium is hand painted to form the E11BT's housing, matching a refined appearance with a tough and lightweight build. 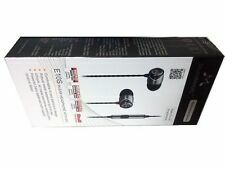 SoundMAGIC E10BT wireless in-ear headphones. USB Charging cable and a Carrying Case: A semi-rigid case for safe transportation. The in-ear design combined with the right eartip makes sure the sound is not lost or diluted. Sitting comfortably in the earcanal, the SoundMAGIC E10-Red ensures hours of fatigue-free listening fun. It is equipped with a new driver design the E50-Red conveys sound precisely resulting in a sophisticated and mature sound experience. The redeveloped driver design of the E50-Red incorporate new high purity copper winding material specially imported from Japan. SoundMagic HP 200 for sale. Headphone has broken in one area. Applied crazy glue and tape as shown in photos. Cable cord also has small tear, does not affect sound. I put tape around the pads to improve bass; you can remove easily. The tangle-free cable and included wire clip ensures that the E10 are easy to wear and use. The E10 not only looks more expensive than it costs, it also sounds that way. Especially notable is its enhanced bass output, which extends deep with enhanced punch and impact. SoundMAGIC E50 In Ear Isolating Earbuds Earphones - Red. Inside the sheath of the cord a twisted cable ensures strength and a tangle-free listening experience. Ergonomically designed sound tubes sit perfectly in the ear canal and stay in the ear comfortably. SoundMAGIC E10 BLUE, Noise Isolating In-Ear Headphones. The redeveloped driver design of the E50C incorporate new high purity copper winding material specially imported from Japan. A high resolution digital audio player or headphone amplifier will bring out the best sound. Refined Sound: Reworked 10mm dynamic drivers give the SoundMAGIC E11C a fresh, accurate, and mature sound. Expect a balanced profile, with fine detail underscored by comfortable, warm bass. Engineered Housing: High grade machined aluminium is hand painted to form the E11C's housing, matching a refined appearance with a tough and lightweight build. We will send you new version box. IN-EAR PL50. Natural and pure tone reproduction. Compatible with iPod/iPhone and other portable MP3 player devices. Cable length 1.2 M. Frequency range 15~22000 Hz. A high-resolution digital audio player or headphone amplifier will bring out the best sound.SoundMAGIC's traditional barrel shaped housing milled from lightweight aluminium make the E80 a robust earphone with strong ergonomics. SoundMAGIC P30S White Portable Headphones with Microphone For All Smartphones. The folding headband allows you to stow the P30S quickly and easily in the supplied travel case to keep your headphones safe when not in use. The SoundMAGIC P22-Black headphone is highly portable comfort united with compelling sound. It is a feat of engineering of SoundMAGIC to achieve sound of this degree in such an affordable and lightweight headband. Equipped with a new driver design the SoundMAGIC E50C-Gun isolating earphones convey sound precisely resulting in a sophisticated and mature sound experience with highly refined sound. Fitted with a 3-button remote with automatic switching between Apple and Android smartphones. It is equipped with a new driver design the E50-Gun conveys sound precisely resulting in a sophisticated and mature sound experience. The redeveloped driver design of the E50-Gun incorporate new high purity copper winding material specially imported from Japan. SoundMAGIC Vento P55. SoundMAGIC Vento P55 on-ear headphones. "C" audio cable with mic and remote (1.2m). Audio cable (1.2m). Phone adaptor. Highly detailed and accurate sound. It also has a Superior Sound with fully dynamic response. The SoundMAGIC ES18 makes great sound affordable. The ES18 has excellent clarity and strong bass performance with a dynamic and refined sound signature. SoundMAGIC ES18 Red Earphones. Upgraded 10mm Neodymium drivers. Driver: Dynamics 10mm Neodymium Driver. Powerful bass balanced with superb musical detail. 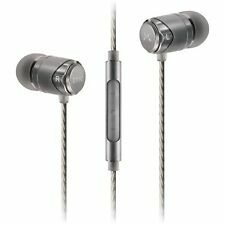 NEW SoundMAGIC E11C earphones is a smart stylish design in brushed aluminum with great audio performance for an affordable price. Comfortable fit with efficient noise isolation. Solid built in precision machined aluminum.